Hanwha Q CELLS Co., Ltd. is a manufacturer of photovoltaic (PV) solar cells with headquarters in Seoul, South Korea. Hanwha Q Cells is a subsidiary of the Hanwha Group, a large business conglomerate which is also headquartered in South Korea and which participates in several industries including: Manufacturing, Construction, Chemicals, Energy, Finance, and Leisure Services. 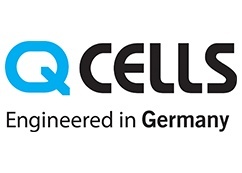 Q-Cells was established in 1999 and was brought into the Hanwha Group in 2012. In 2015, Hanwah Q-Cells was then merged with Hanwha SolarOne to form the company as it exists today. With global-level capacity and top-quality solar products and services, Hanwha has rapidly become one of the most trusted names in the solar industry worldwide. They are at the forefront of innovation in the solar energy sector, with sustainable solutions designed to address the global energy challenges of today and tomorrow. Hanwha has state-of-the-art solar energy R&D centers in Germany, South Korea, China, and Malaysia. It markets and sells solar modules in more than 36 countries throughout Europe, Asia, and North America. Hanwha Q CELLS is also the global leader in solar cell manufacturing, with the world’s largest 5.7GW cell production capacity annually, and is the market share leader among all global manufacturers in two of the three largest solar markets: the US and Japan. A clear indicator of this success is an agreement Hanwha Q-Cells has made to provide NextEra Energy Resources with more than 1.5 GW of solar modules to be deployed in the United States. Hanwha Q CELLS primarily manufactures monocrystalline (single crystal) PV solar modules which are developed using Hanwha Q CELLS’ proprietary Q.ANTUM solar cells. These PV solar cells reduce energy consumption significantly by utilizing PERC (passivated emitter rear contact) architecture, which utilizes a special layer on the back of the solar cell to reflect unabsorbed light back through the cell for a second pass in order to improve efficiency. Using Q.ANTUM technology, the company achieved a record-breaking multicrystalline solar module efficiency rating of 19.5% in June 2016. This was the first module of its size to break the 300 watt barrier. Currently, Q CELLS offers two brands of solar modules: named Q.PEAK and Q.PLUS. The Q.PEAK is rated at a slightly higher efficiency than the Q.PLUS, thanks to an enhanced version of their Q.ANTUM technology called Q.ANTUM ULTRA. Q CELLS offers a 12-yr product and 15 year performance guarantee including an Anti PID (Potential Induced Degradation) and Anti Hot-Spot warranty with their solar modules. Hanwha Q CELLS is also ranked highly by installers, winning the Top Brand PV Seal 2016 from EuPD Research for the third time in Europe and the first in the US and Australia. Hanwha controls the entirety of their solar manufacturing chain from the production of ingots, wafers, and cells, to their final assembly into modules. Hanwha even participates in downstream development, operations, and financing operations. Q CELLS’ products are engineered in Germany and their products are put through 3 additional rounds of quality testing after the industry standard IEC, UL, and MCS cetification testing. Hanwha Q-Cells is a global leader in PV solar module technology, but is a Hanwha branded product right for you?